At twenty-two years old, Sydney is enjoying a great life: She’s in college, working a steady job, in love with her wonderful boyfriend, Hunter, and rooming with her best friend, Tori. But everything changes when she discovers that Hunter is cheating on her—and she’s forced to decide what her next move should be. Soon, Sydney finds herself captivated by her mysterious and attractive neighbor, Ridge. She can't take her eyes off him or stop listening to the passionate way he plays his guitar every evening out on his balcony. And there’s something about Sydney that Ridge can’t ignore, either. They soon find themselves needing each other in more ways than one. A passionate tale of friendship, betrayal, and romance, Maybe Someday will immerse readers in Sydney’s tumultuous world from the very first page. the synopsis is mostly about her “wonderful life,” then things come crashing down when she finds her boyfriend cheating on her best friend/roommate. it also mentions a guy named ridge, who she’s kinda getting into? um.. okay. i promise, that is the first ten pages. everything after that is a bit mind blowing and not what i expected. i would tell you, because it feels like you should know, but it’s considered a “spoiler;” i wouldn’t want to risk it. this book talks about a few serious(ish?) topics, and does include a love triangle (but not with who you expect). music is a huge part of the story and i love how it connects the characters and brings out all the emotions. the story and writing will leave you saying, “just one more chapter,” until you’re finished with the book – which is exactly what happened to me. colleen hoover’s writing style is kind of amazing, but it also reminds me of fan fiction. there will be moments when i’m reading and it feels like i’m reading a really good fan fiction, not a novel. i’m not sure if that’s a good thing, but that’s just the vibes it gives. the way she writes makes you feel as if you’re actually inside the character’s head. you follow their thought process and everything. she’s also hilarious. there were multiple times when i literally laughed out loud because it was so funny. you care for every single character (which is extremely rare) and learn to accept and embrace their so-called flaws. the relationships between the people and her quotes! ahh, all of it is just so good. 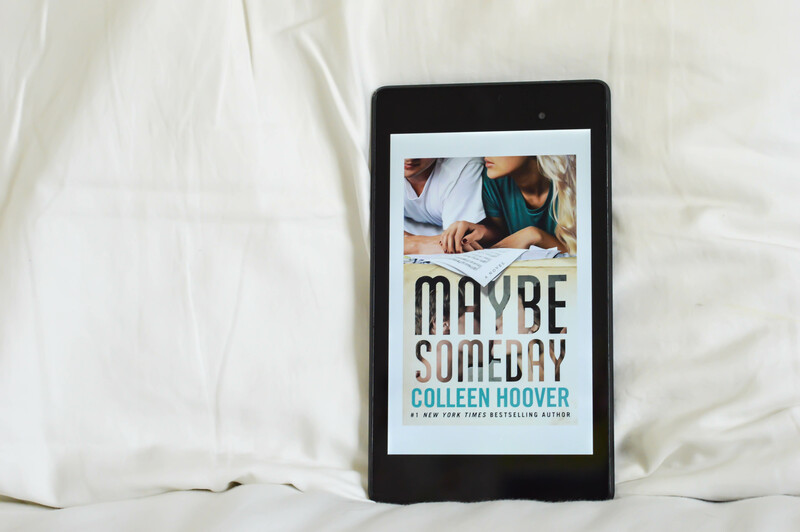 this is the first colleen hoover book i read, and i do intend on reading the rest of her novels. i feel like i would’ve given it a higher rating if it wasn’t over-hyped. i mean, yes, it is good, but it’s not that good. it was also my first new adult book, so i couldn’t relate to the characters as much since they’re experiencing things i wouldn’t yet understand (i’m still a teeeeeeen). nonetheless, this book was enjoyable. you should definitely read it if you like cute and adorable contemporaries.